I've really been enjoying this thing. It's got decent power, great front suspension, and I've been riding as much as I can find the time. So I quickly realized this thing will need two things, LIGHTS AND FENDERS! So I mounted up some cheap LED lights and they are AWESOME! Brighter than my truck! After about 2 months wait time, I finally received my S2 rear shocks as well and they look good! I mocked up some cheap fenders using split ring pipe hangers and 3/8 allthread, and now this things a beast. Last edited by Brandjayfab on Tue Feb 12, 2019 1:04 pm, edited 1 time in total. Last edited by Brandjayfab on Thu Feb 28, 2019 5:06 pm, edited 2 times in total. I've setup a warranty order for the front pad set, and 54" brake line. I beat this horse quite a bit, but please be sure to use the Warranty Claim button on our homepage for anything that is missing or potentially a problem on an order. It goes straight into a dedicated support system that catches and tracks your case. Emails work well enough, but details like this can (and often do) get missed. Without starting a claim, the tools I've built to handle problems is bypassed. And ultimately the situation ends up depending on my memory. Which isn't what it once was. In either case, I appreciate your patience Jason. While I've been taking a break from the brakes, I've been looking into the BDX rack mod, and Travis said they don't do it regularly, so I decided I'm a machinicist kinda, I'll take a whack at it. I got this flycutter and was able to machine extra teeth in my rack on my own. If this is anything like how Travis does it, it was a nightmare but it turned out well. Yeah... it's one thing to hear me to say it's an awful process. It's another thing entirely to experience the nightmare first hand! That looks like just a straight shank on your tool holder. What machine did you use? Here's my gearcutter. Machine is an old 1969 Bridgeport with the 2HP variable speed head. I don't even have a digital readout on this machine. I machine these all manually using the hand dials. Brandjayfab wrote: Found out somehow the spindle bent where the tie rod meets it just during normal driving. BDX spindle failures aren't common at all actually... I've sold a lot of these over the years, and get a spindle back for repair/replacement once or twice per year. I usually don't question how it got bent, and even if I know the person was doing more than they're saying I go ahead and fix it anyway. That's how the guarantee is meant to work, and I'm very happy with it. People end up making the decision to buy because they know it's the last set of spindles they'll ever have to buy - even if there is a problem. I have to be really clear here though: The only way that tab will bend is with substantial force. Usually something like a large rock or tree stump is hit at speed. People have added gussets to that area and I absolutely recommend against that. I would rather have that tab bend under extreme pressure so you can make it back home safely, rather than reinforce it further and cause a tie-rod end to snap under the same force. We're really talking catastrophic impacts, not anything that's going to happen in the yard or even on the roughest trails. It has to be situation where the front tire smacks something hard at speed. A similar situation happened to Junk Yard Dog not long ago. He didn't realize that he had clipped a large rock at 30mph, causing the tab to bend. If the BDX spindle was even more rigid than it already is, the tie-rod end could have snapped and lead to a disaster. The fact that the spindle tab absorbed the impact and prevented a potential crash is something I feel is a major success and exactly what I want to happen. I retraced where the spindle bent on the trail and found that I side swipped a stump in the ground did not see it before but had a paint mark from my rim. I must have hit it at about 30 mph flat run no whoops... still you guys made a great part if that's all that happened your still #1 on my buyers list...! As far as the guarantee is concerned, I'll still fix it no matter the cause (usually even if the reason it bent is excluded). Doesn't matter if it bent going down your driveway or if the machine was dropped from a helicopter. The concern I have is that people reading will conclude from scanning through this thread in passing that BDX spindles have a weakness at the tab. That's just not the case, our spindles have a solid track record since 2006, and I believe we're well into the thousands in the field at this point. If yours truly did bend with normal riding, the only scenario I can think of is possibly lack of sufficient weld at the joint. This would fall under a workmanship defect, with the weld joint simply being out of spec. We don't skimp on the welding process, every linear inch of our parts are fully welded. No stitches or tacks on production parts. I'd like to get it back for inspection and repair or replacement under the guarantee. It's not, and I think this is where mistaken perceptions can really be damaging to keeping something available long-term. With Redbeard, the jumping is what caused his spindle failure. If you watch the video, they landed hard on that corner and at a bad angle. It bent the tab and the spindle bolt. Stock parts probably would have exploded. Unfortunately, since RB started the jumping in his videos I've been seeing more warranty requests on spindles. I feel that a trend is starting. I don't want to undersell the strength of my own parts, but I didn't intend or design for them to be jumped. Jumping has been an exclusion under my guarantee for 13 or 14 years. I spoke with Greg (RB) on the phone and I worked out a revised spindle design so he could keep jumping for the camera, but asked him to at least land straight. And asked that he consider making some kind of mention that they are pushing things way past needing "Heavy Duty" parts. They're reaching the point of needing "Invincible" parts. BDX components are absolutely rock solid on the roughest trails. But once tires leave the ground (or large obstacles get in the direct path of the vehicle), things get unpredictable. I had a similar headache with my HD Axle years ago. I added +2" width on each side to increase stability. Started getting frequent warranty request due to people smacking trees. They weren't accustomed to the increased width, and didn't adjust their driving habits on tight trails. Got to the point that I was tired of explaining and re-explaining why hitting trees isn't something I can cover. Ended up having to discontinue them. I tried a few years later to design an "Invincible" axle out of massive 2 inch diameter American 4140 solid round stock. But eventually just gave up. Just not willing to make it my problem anymore. I'm nowhere near that point with spindles or A-Arms, but I'm hoping passing readers will see this and consider some of the info above. If RB makes jumping popular to the point where I'm having this conversation with people on a weekly basis, I may have to stop offering a lifetime guarantee so that expectations are in alignment with the reality and practical limitations involved. Most of this isn't relevant to your situation in specific, but I want to make sure the right info gets out. People tend to see a picture of a bent tab and assume that there is a problem across the board, rather than looking at the many years of history and realizing this kind of unusual failure is exactly why we have a guarantee. To prevent this kind of error moving forward, I've changed how they pass information between departments. We're clear now that information should be passed by reference only, and that every interaction should be checked against the order on both sides. This means that instead of shipping asking production for "20x7x8 V-tread tires", they ask for "the tire set #123 from order #12345". Production has to look up the order and see first-hand exactly what needs to be assembled and delivered to shipping. Each party in our internal supply chain should "distrust, verify, stay suspicious" of loose information passed between individuals, always reference the order itself and look it up themselves when picking or assembling. 2. When it comes to color of hubs, rims, etc... we're beholden to the manufacturer on that kind of thing. I beat this horse quite a bit, but please be sure to use the Warranty Claim button on our homepage for anything that is missing or potentially a problem on an order. It goes straight into a dedicated support system that catches and tracks your case. Noted. I was unaware of this and will absolutely utilize this system if needed in the future. Maybe a small sheet of paper with this info thrown with the orders could help prevent mistakes like mine. Was using that simple flycutter on a TRAK K3 with the ProtoTRAK EMX CNC, just using normal r8 collets. Separately, any chance you could provide good photos of your intended front brake linkage? Last edited by Brandjayfab on Thu Feb 28, 2019 5:07 pm, edited 1 time in total. 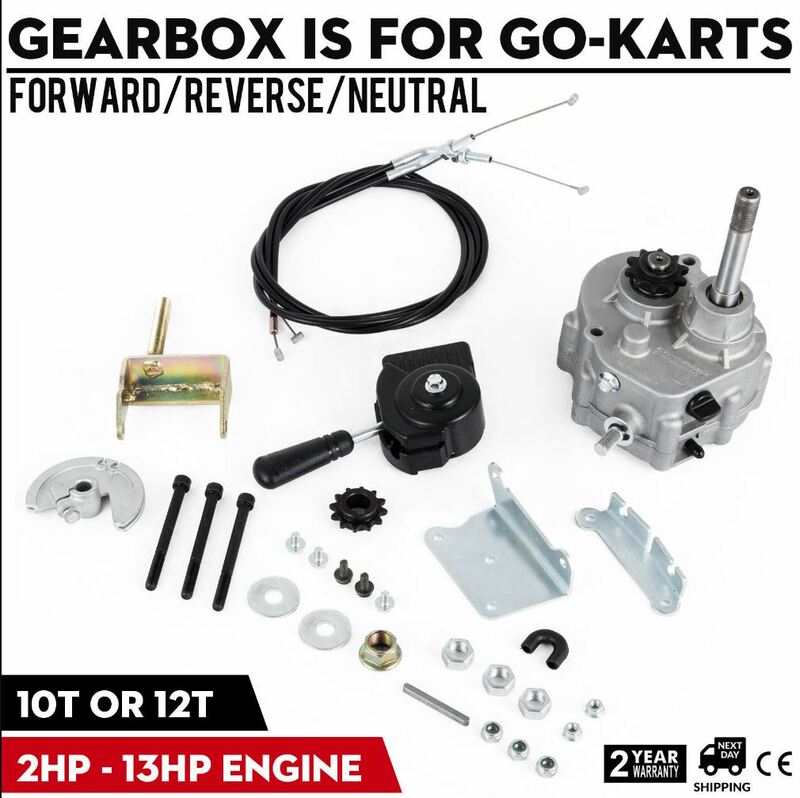 So I ordered this to replace my jackshaft! A little bit of compound gear ratio calculations and I've got the right sprockets coming with it. The fact that the spindle tab absorbed the impact and prevented a potential crash is something I feel is a major success and exactly what I want to happen. I was a bit surprised by this. Anything we were doing wouldn't have affected a comparable atv/quad. But I do appreciate the intention of a sacrificial link, I'm definitely not used to having that be the vehicles' custom heavy duty spindle though. Way cheaper to replace a bent tie rod. I will very likely be gusseting the spindle to shift the weak link for my purposes. Based on your description, I think the weld was defective on your arm and perhaps didn't fully penetrate both parts of the joint. I don't think your spindle was at its full strength when it left here. I'd like to get it back for inspection so I can tell for sure if a defect caused the failure and talk with my builder. The arm isn't weak in any objective sense. It's not something that needs to be worried about even on the roughest trails even with full sized adults and a trailer in tow. It shouldn't have bent under the (light) conditions you've described, which is why I think it's related to a defect. Your situation is different than Junk Yard Dog above - I only mentioned it to provide context for why you see the tab bending during major catastrophic events like smacking a rock at 30mph or Redbeard trying to launch into orbit on his Yerf Dog. Wrecks and accidents are when bending the tab is preferred over a tie-rod end outright snapping. A bent tie-rod end would be cheaper, but my concern is that it may shear rather than bend. At speed that would be a big problem. Alternatively, if you'd like to DIY the fix and be back to riding sooner, could you send me a few pictures in private with more detailed shot showing both sides of the weld in that area? I want to be able to figure out what happened and make changes here if necessary. I'll then be able to advise exactly how to repair it. Last edited by Brandjayfab on Thu Feb 28, 2019 5:08 pm, edited 1 time in total.